Notes: I wanted to make a stole for my friend. 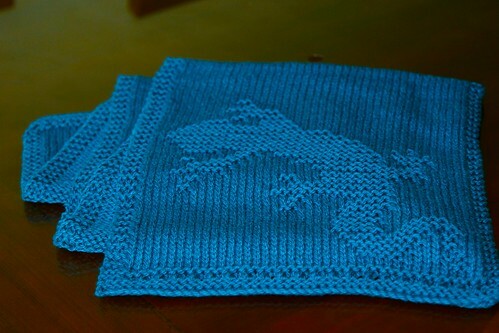 Since her name is Liz and she likes lizards, I wanted to include a graphic and thought this dishcloth pattern would be just right. Basically, I just added a bit of garter and some eyelets to the bottom edge, followed the pattern, added a bunch of stockinette to the middle, and then repeated the lizard motif and edging. Easy peasy! The finished stole was about 5' x 1'. This was my first time working with the Sweater yarn. The colors are rich and beautiful, but some of the color does come off in the wash–so be careful. 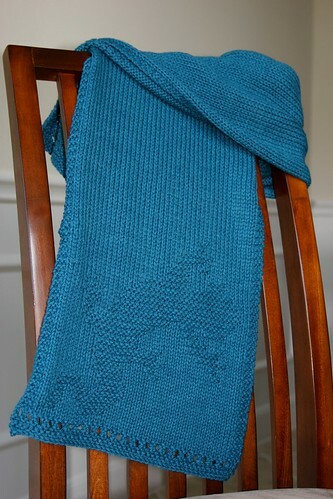 The feel is nice and soft, not plasticky like some other superwash yarns.